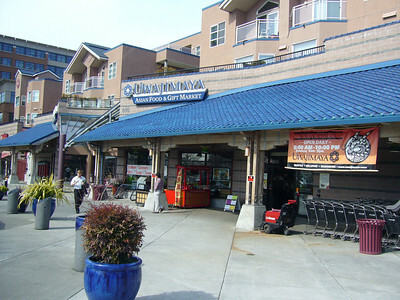 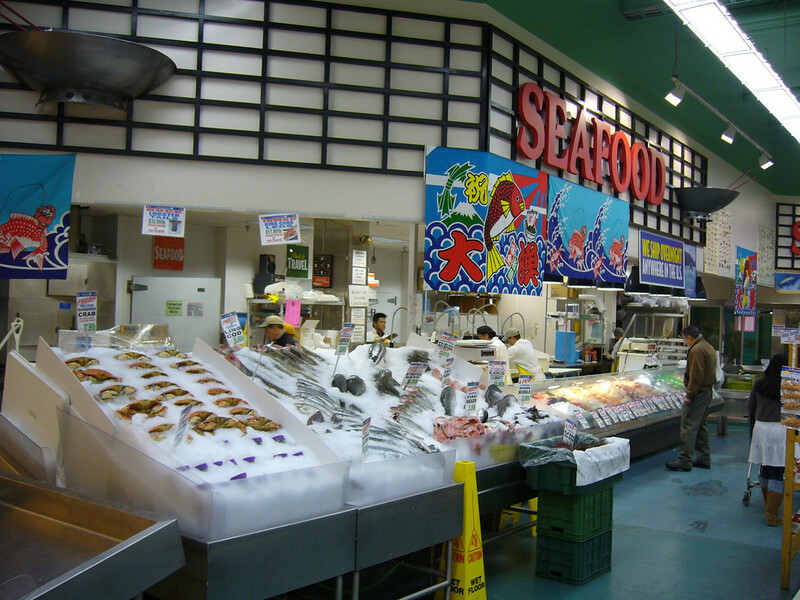 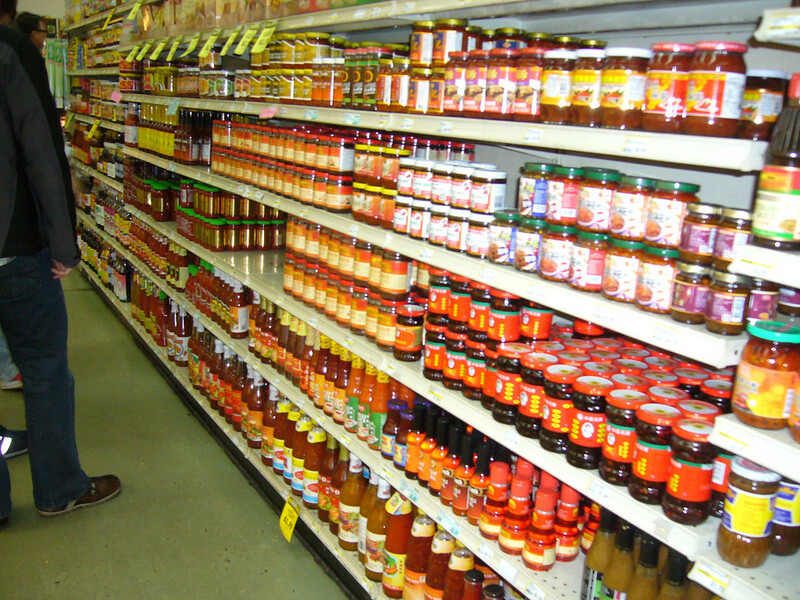 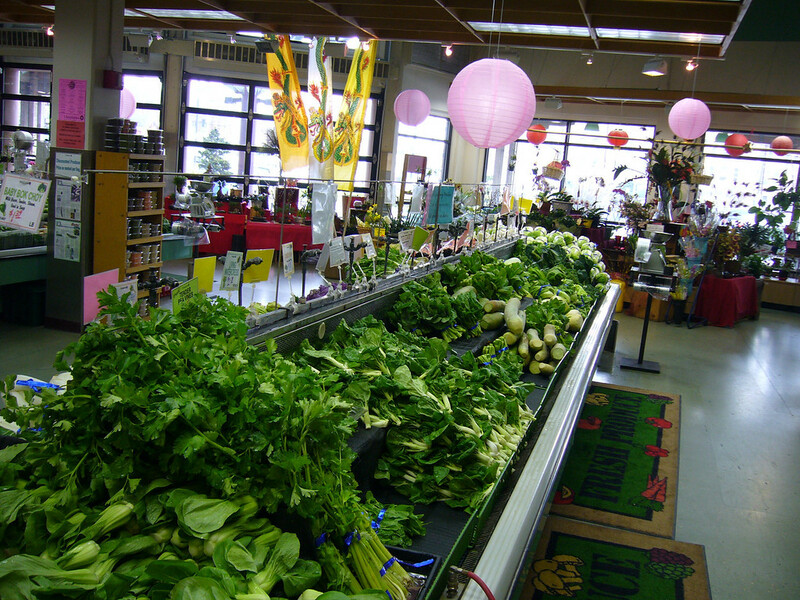 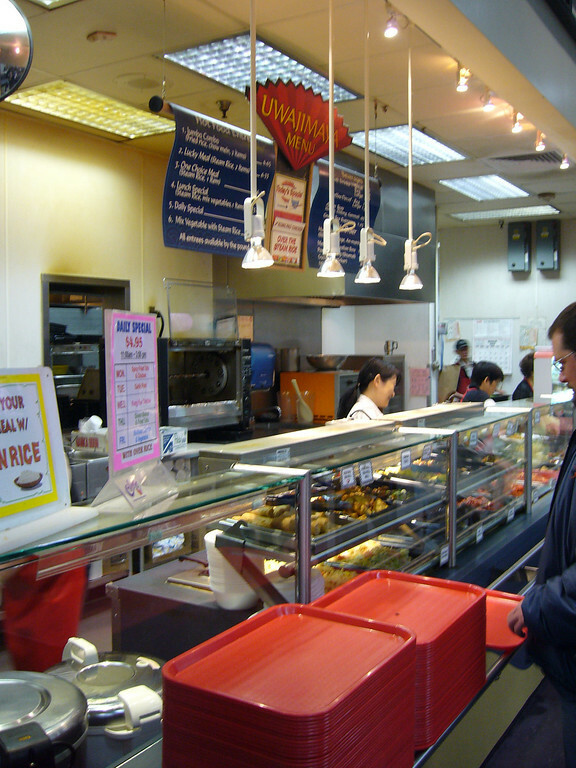 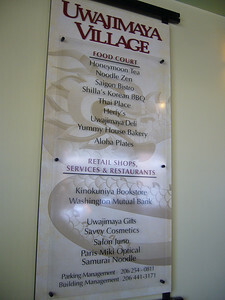 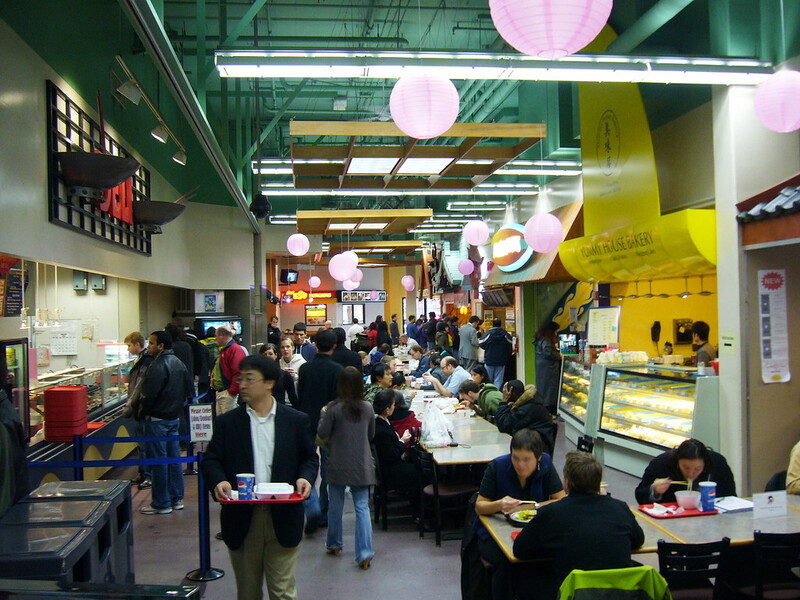 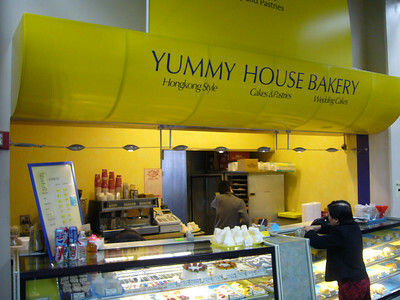 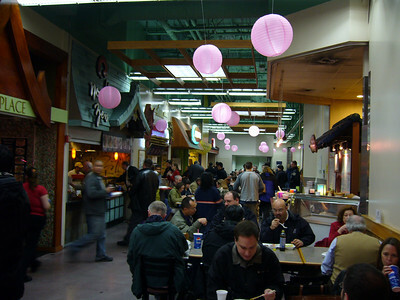 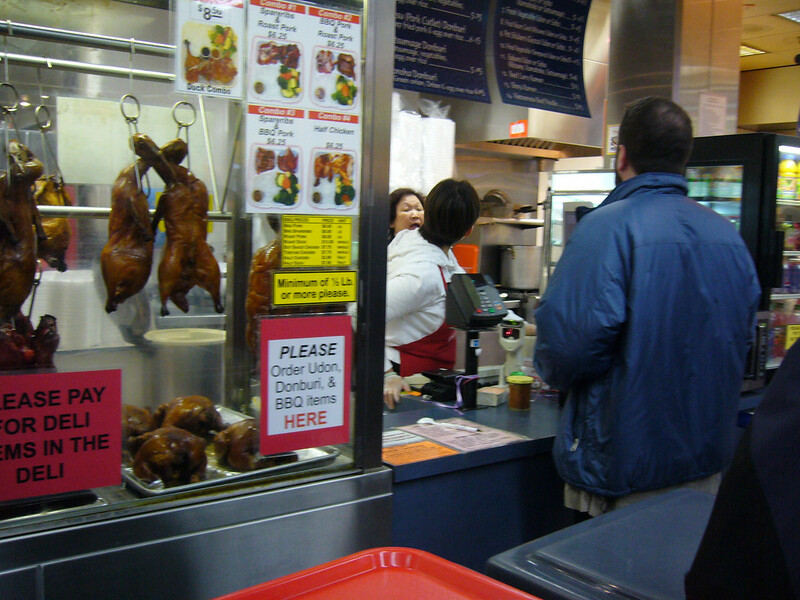 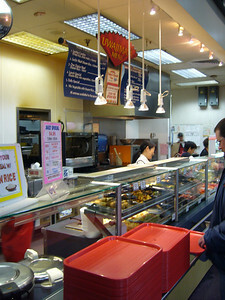 Uwajimaya Village is a large, modern Asian grocery store plus a food court, and mini-mall in the heart of Seattle's China Town International District. 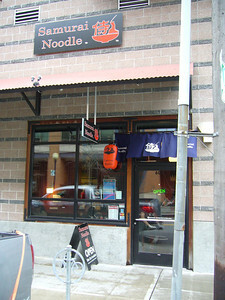 (It's really more the shoulder than the heart.) 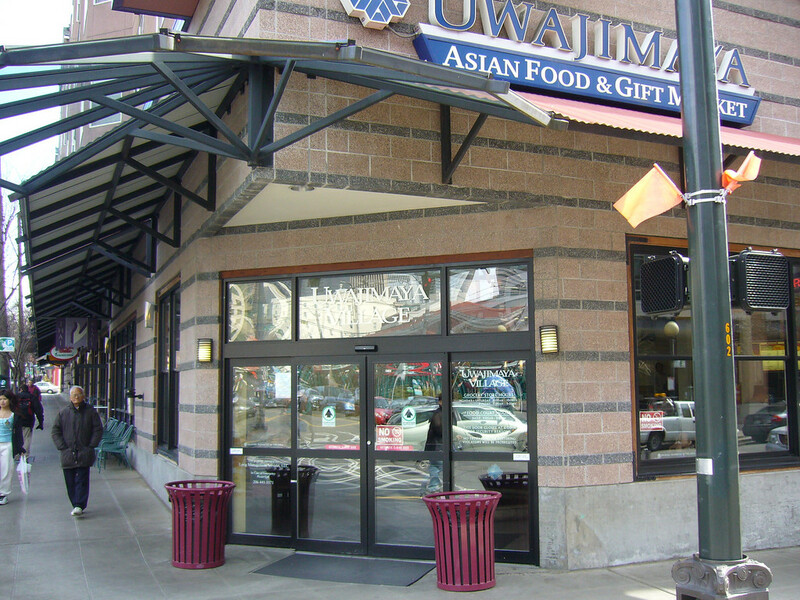 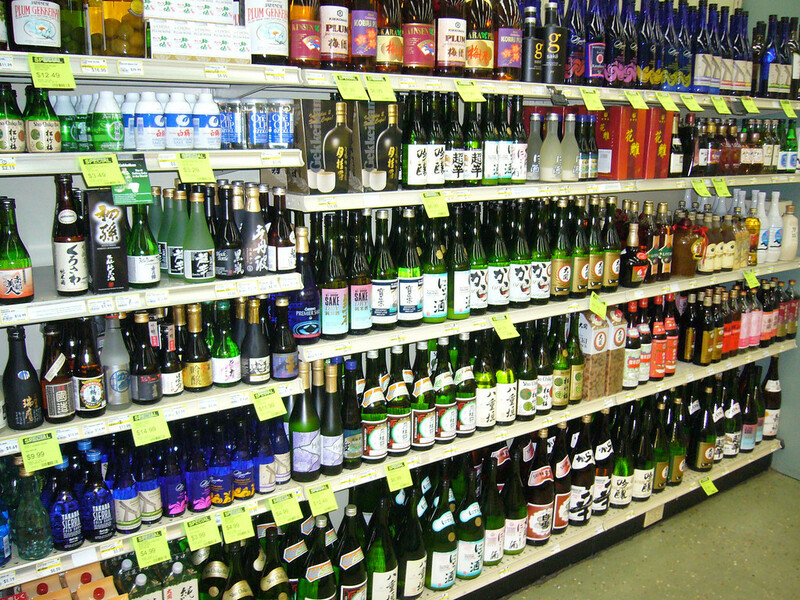 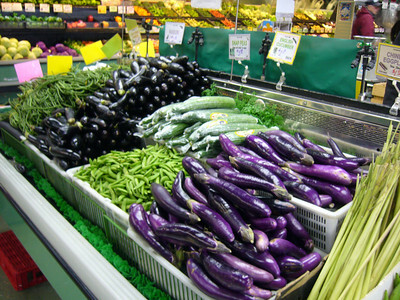 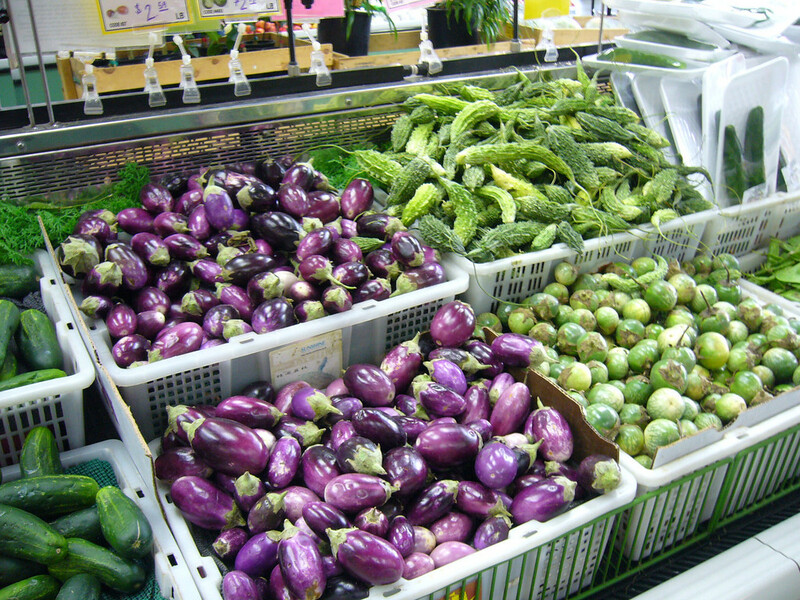 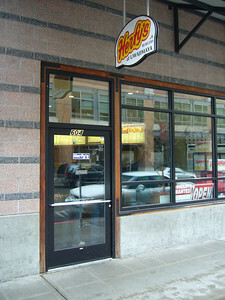 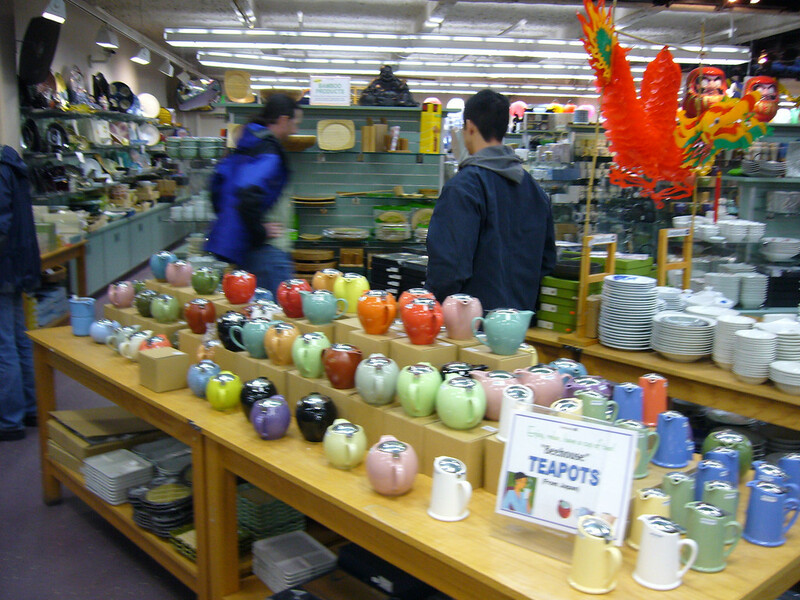 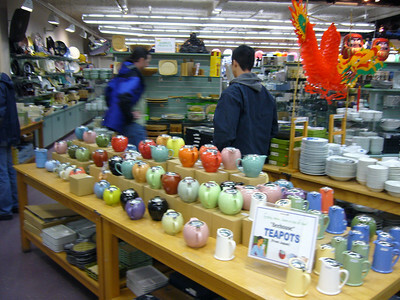 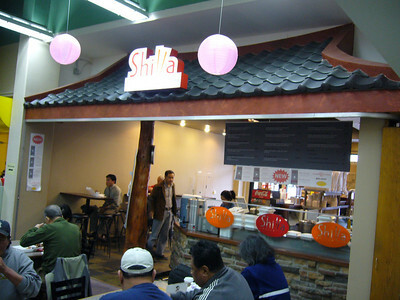 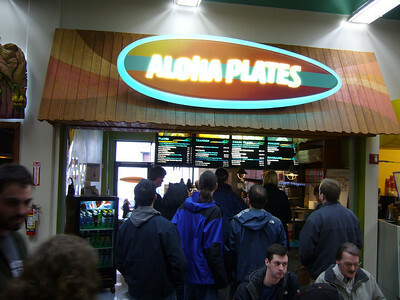 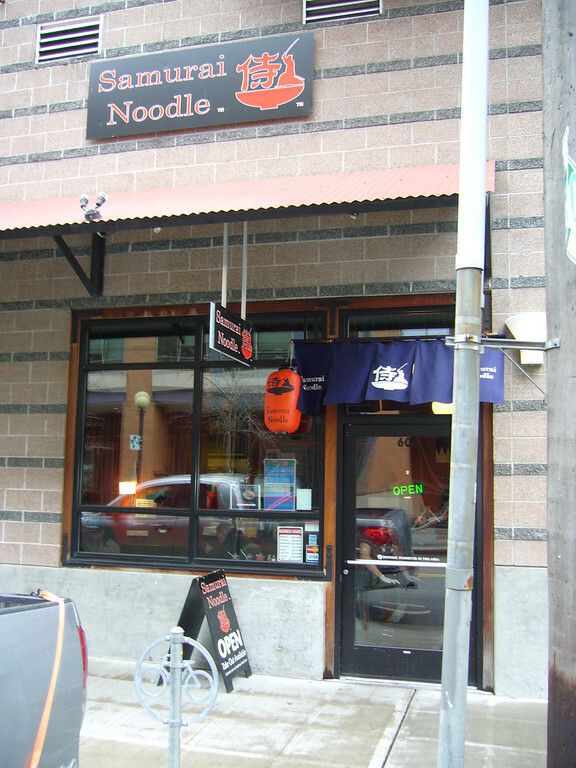 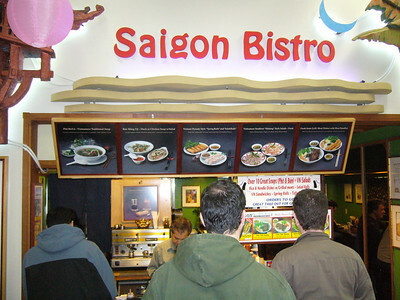 Uwajimaya is a small regional chain with two other stores, one in Bellevue and one in Beaverton, Oregon, but Seattle is the flagship. 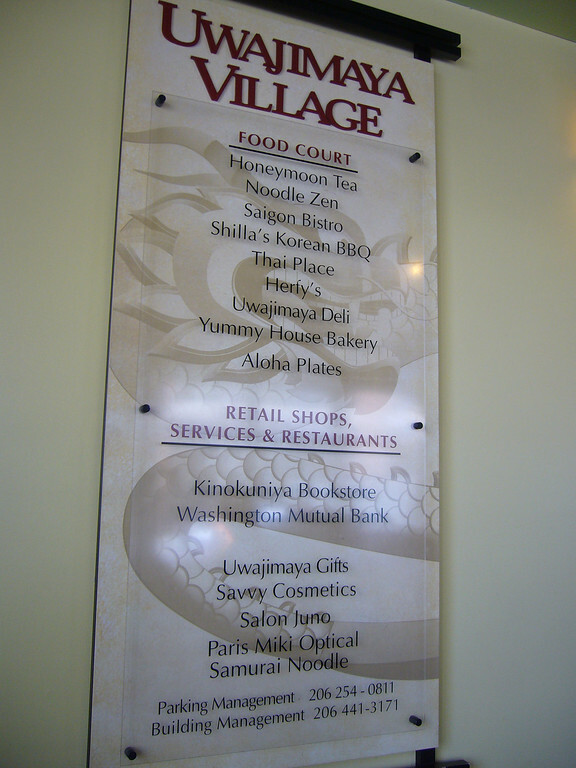 It is billed as a "Village" because not only does it supply all of the staples of life, but it is all built under two to five stories of condominiums/apartments. 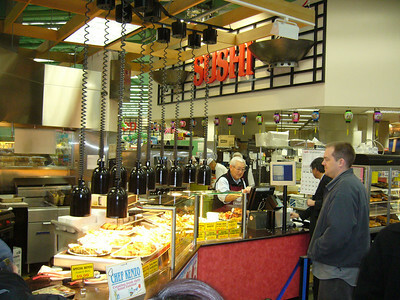 The selection at Uwajimaya leans to the Japanese side of the continent with every imaginable type of Hello Kitty branded food. In addition to the Hello Kitty pizza rolls, they have an amazing selection of seafood, vegetables, and other local & imported Asian foods. 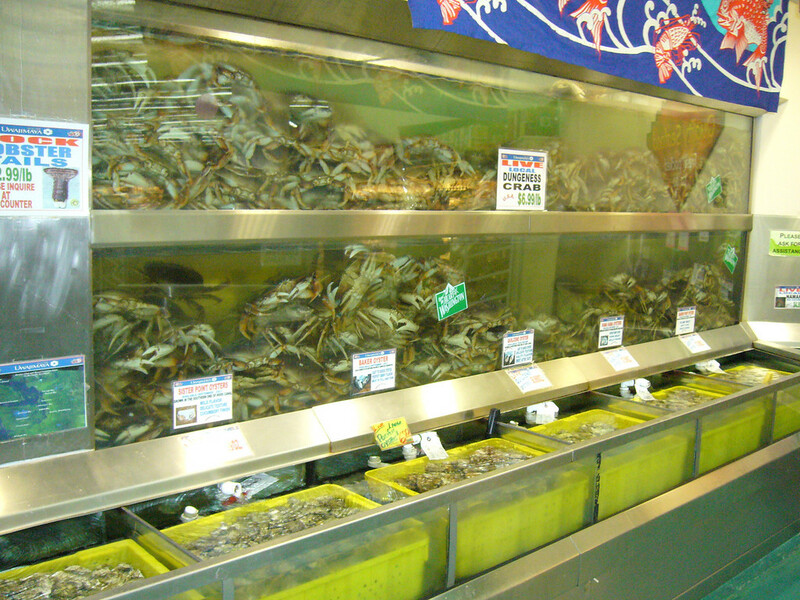 Their live fish, crab, and oyster displays are the largest I have ever seen. 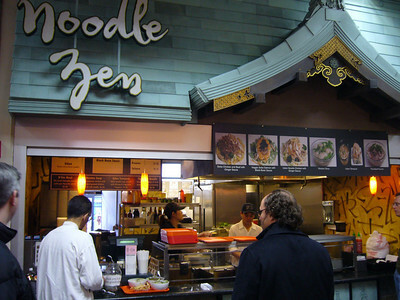 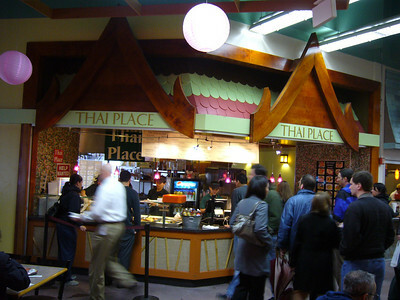 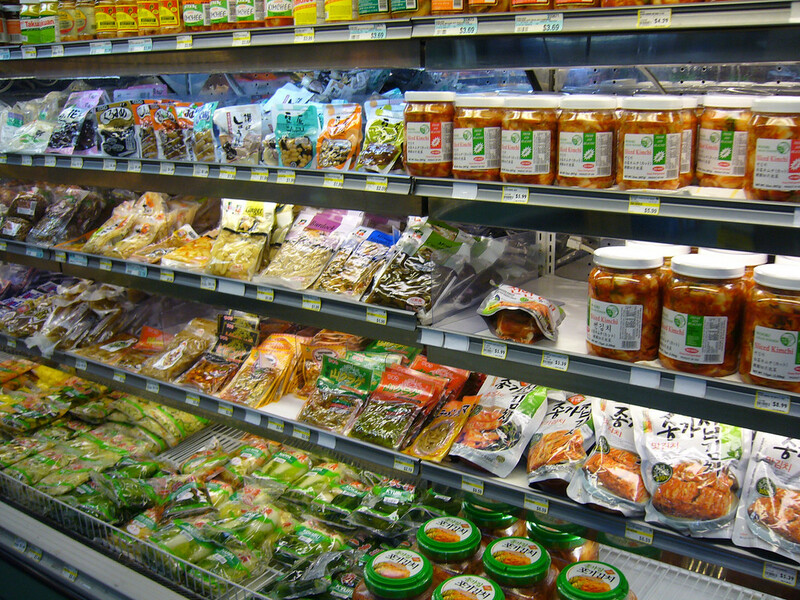 As we ate our way through the 10 restaurants in the food court, we took time each visit to wander the aisles of the grocery store looking for interesting snacks. 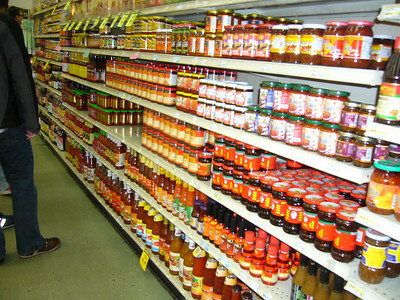 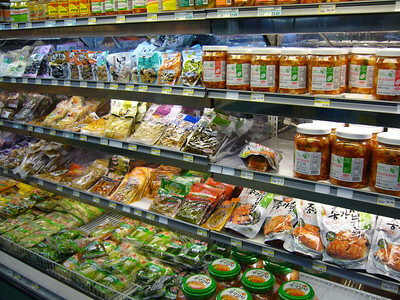 My favorite sections are the seafood, the hot sauces, and the snack foods. 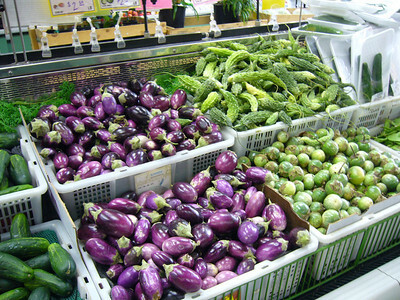 Oh, and also the vegetables and the candy. 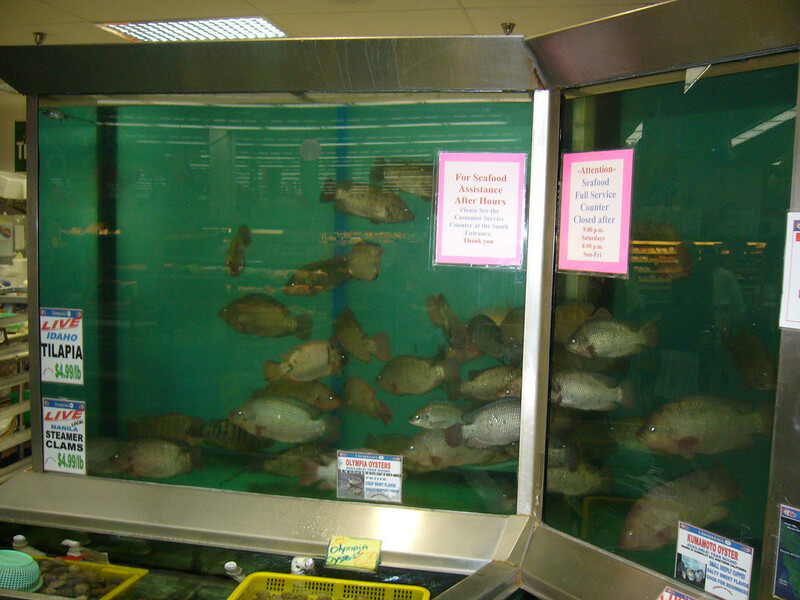 There's some neat stuff in the frozen foods section too. 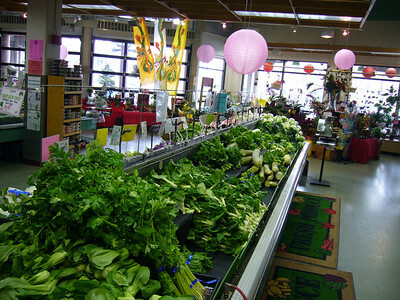 If you're in the area, be sure to leave some time to stop by and wander the aisles. 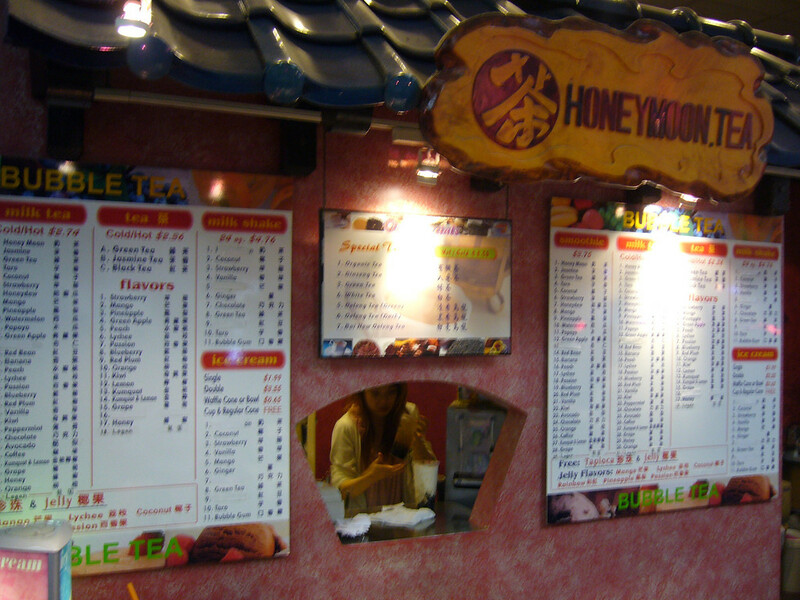 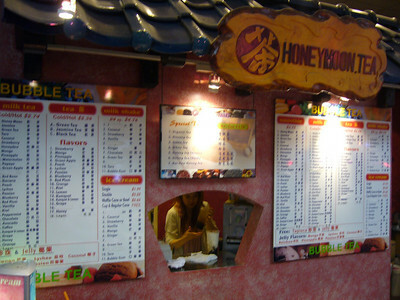 It's a nice way to take a little Asian journey with out getting to far from home.